"Greetings All, Is there a fix/work around for using the AC3 codec in VLC? I googled the question and I saw some older posts about it but their fix was to change my location to Canada (which didnt work). If I want to download and play movies that use that audio codec how do I make it work on my ipad? Use a different player (other than VLC)? Is there a more timely fix than just changing my location? Thanks"
Any VLC alternative apps to play AC3 codec on iPhone/iPad? As the AC3 codec has been removed from VLC for iOS, most people using VLC on iPhone or iPad has encounter the problem to play video encoded with AC3 codec. After searching on the Internet for VLC alternative app for playing AC3 codec on iPhone, you may disappointedly to find that most iOS media players has been forced to remove AC3 codec support such as GoodPlayer, PowerPlayer, WMV Player, exPlayer HD, BUZZ Player HD, etc. playback issues. The only effective way to fix this issue is to transcode the AC3 codec to other VLC for iOS supported audio codec such as AAC or MP3 audio code. 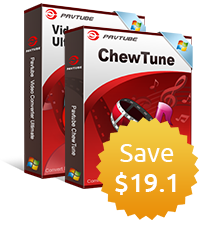 Here, you can complete the work by downloading a trial version of Pavtube Video Converter Ultimate for Windows/Mac, with the program, you can easily convert AC3 to VLC app for iPhone/iPad readable AAC or MP3 codec with just one click. Apart from that, the program also offer you many beneficial video customizing and editing functions. 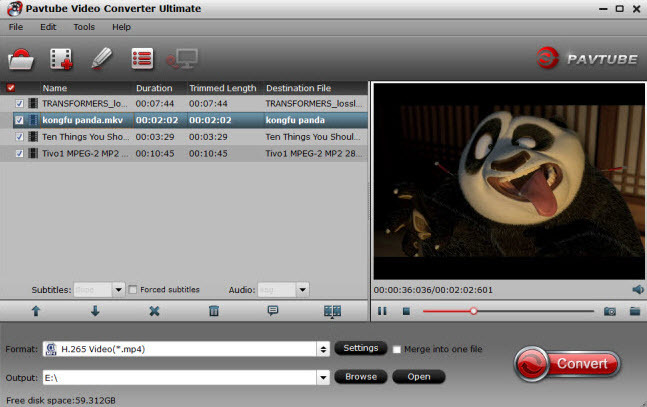 You can trim the unwanted parts from the video file with AC3 audio codec, merge separate video clips into one, split large video file into small ones by file size, number or count, you can also adjust the output audio codec, sample rate, bit rate or channels to get better audio effect. 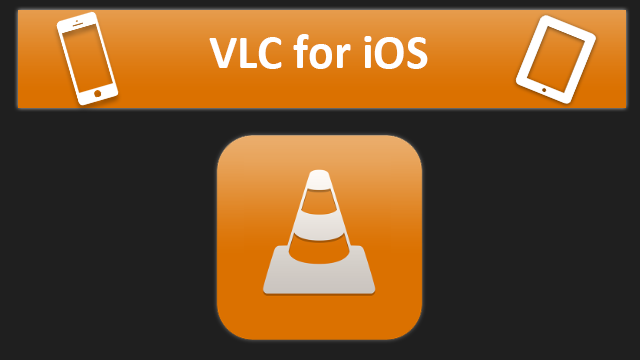 How to convert AC3 to AAC/MP3 for Playing on VLC for iPhone/iPad? 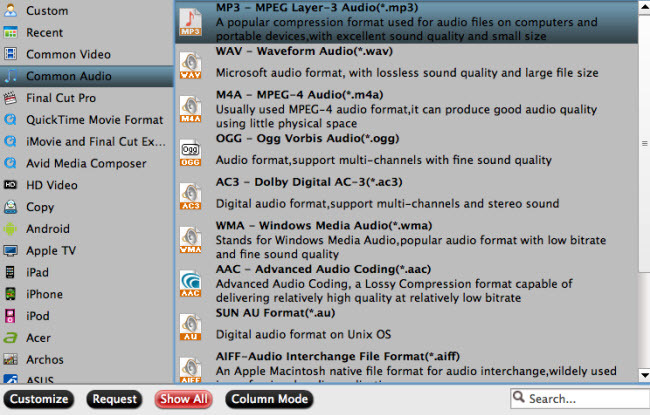 Step 1: Add video files with AC3 audio codec to the program. Run the program on your computer click "File" to load video source with AC3 audio codec. Click the "Format" bar, from its drop-down list, choose VLC app for iPhone/iPad supported AAC or MP3 audio codec from "Common Audio" > "AAC -Advanced Audio Coding (*.aac)" or "MP3 - MPEG Layer - 3 Audio(*.mp3)". Step 3: Trim video file size. 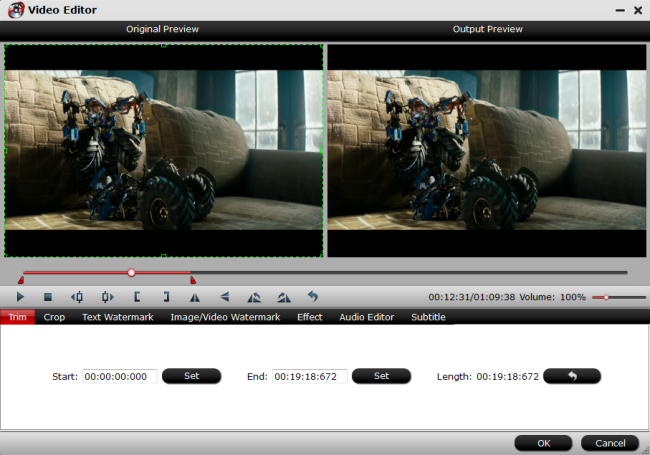 You can cut off the unwanted parts from a long video to short ones by setting the start time and ending time. Go back to the main UI and click "Convert"button to start AC3 to VLC for iOS compatible AAC or MP3 codec conversion process. When the conversion is completed, click "Open Output Folder" on the main interface to pop out the folder with your converted files, you will then have no problem to play AC3 codec on your iPhone/iPad with VLC media player.